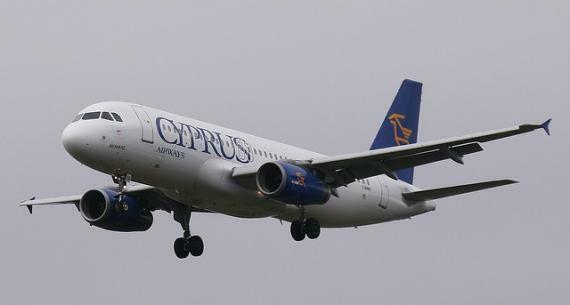 The best way to get to Cyprus is to take a flight to Larnaca International Airport. As the the largest airport on the island of Cyprus, Larnaca International Airport is conveniently located only a few miles away from third largest city on this Mediterranean island nation. In fact, Larnaca is situated on the southeast coast of Cyprus in the Greek part of the island. Larnaca International Airport is also located within a comfortable driving distance from the two largest cities in Cyprus. The airport in Larnaca is about 70 km (50 miles) away from Limassol and 50 km (30 miles) away from Nicosia. As a gateway into one of the most popular resorts in Cyprus, Larnaca International Airport is served by more than 30 airline companies from all over the world. Many of the European airlines have increased seasonal service to Larnaca International Airport. Aegean Airlines, British Airways, Condor, Lufthansa, Scandinavian Airlines, Thomson Airways and Thomas Cook Airlines offer direct flights to the third largest city in Cyprus. For example, the British charter airline Thomson Airways operates seasonal flights between Larnaca and more than ten destinations in the United Kingdom. Some airlines even provide year round trips to Larnaca International Airport. Austria Airlines, Norwegian Air Shuttle, Olympic Air and Wizz Air land in Larnaca on any given day of the year. Unfortunately, no U.S. airline companies offer direct service to Larnaca International Airport. However, getting to the resorts in southern Cyprus from the United States is a matter of making transfers at any of the major airports in Europe. Of course, European flag carriers also serve major airports in the United States, so American passengers don't necessarily have to use U.S. carriers to transfer to Larnaca International Airport. Apart from the airport in Larnaca, there is also another smaller one in Paphos. Paphos is located at the southwest side of the island so it's best suited for those who want to stay in Paphos or go to Limassol. However, even if it's a small airport, there are many major airlines like Easyjet, Thomson Airways or Ryanair which operate daily flights mainly from UK (London, Manchester, Edinburgh, Bristol, Birmingham) but also from Russia (Moscow) and Greece (Thessaloniki).